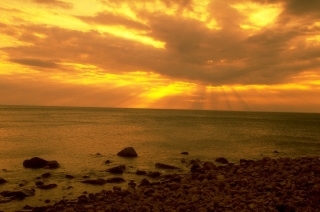 Sunbeams poke through clouds over Kenting Beach on the South China Sea. Kenting National Park, Taiwan. Published August 17, 2011 at 320 × 212 in Photos.